Created by the Campus Election Engagement Project, a nonpartisan effort to help college and university administrators, faculty, and student leaders engage their schools in the election. Key sites consulted included Votesmart.org, OntheIssues.org, FactCheck.org, Politifact.com, and public candidate statements. For guides to local races, see Vote411.org from the League of Women Voters and Ballotready.org. For more detailed information visit their votesmart.org pages. To volunteer go to rohrabacher.com or harleyforcongress.com. To download a printable pdf version of this guide, click here. Rohrabacher – Mostly ban. Voted to create tax penalties for companies offering insurance plans that cover abortion or individuals buying them on their own. Also voted to bar transporting a minor across state lines to get an abortion. Campaign Finance: Require political ads to disclose their largest funders? Stand on Citizens United decision, allowing unlimited political donations from corporations & unions? Rohrabacher – No. Voted against requiring groups running political ads to disclose major donors. Opposed Shays-Meehan bill that limited donations before Citizens United overturned it. Rouda – Yes. Supports Disclose Act, requiring groups to disclose donors when engaging in political activity. Would reverse Citizens United. Rohrabacher – No. “Manmade global warming, as a theory, is being pushed by people who believe in global government… looking for an incredible freedom-busting centralization of power.” Voted to bar EPA from regulating greenhouse gases. 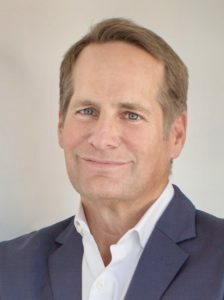 Rouda – Supports rebuilding infrastructure. Said Trump tax cuts would “decimate“ infrastructure & school funding. Environment: Cut or limit Environmental Protection Administration? 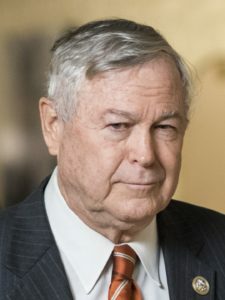 Rohrabacher – Limit. Voted to bar EPA from regulating greenhouse gases. Rouda – No. Beyond losing critical climate programs, the enormous cuts would also eradicate protections for other basic needs. Gay Rights: Support laws protecting gay rights? Rouda – Yes. Supports mandatory background checks, banning assault rifles, high-capacity magazines & sale of guns to violent criminals or convicted domestic abusers. Rohrabacher – Repeal. Co-sponsored resolutions to defund Obamacare in 2013 & repeal it in 2015. Rohrabacher – No. Prohibit federal funds from going to Planned Parenthood—for any purpose. Rohrabacher – No. Applauded President Trump for terminating DACA, saying he sympathized with the kids but that the program encouraged illegal immigration. Rouda – Yes. Supports comprehensive immigration reform that both secures the border & provides a pathway to citizenship for undocumented individuals. Iran: Support President Trump withdrawing from the multinational treaty that limits Iran’s nuclear capability in return for lifting economic sanctions? Rohrabacher – Yes. Walking away will help neutralize the mullahs & empower secular forces within Iran. Rohrabacher – No. Prohibit FCC from regulating rates for broadband internet access. Rouda – Yes. Strong net neutrality supporter. President Trump: Voting agreement with the President’s policies? Rohrabacher – Voted in line with Trump 84% of the time (as of October 18). Rohrabacher – No. Voted against tax credits & incentives for renewable energy production & conservation. Russia Investigation: Agree that serious issues with Russian intervention in the 2016 election? Student Debt: Refinance student loans at lower rates? Increase federal student financial aid? Rohrabacher – No position found. Rouda – Yes. Allow students to refinance at lower rates. Phase in tuition-free education at public colleges & universities. Rohrabacher – No. Opposed because bill capped deduction for state taxes. Rouda – No. Helps wealthy not working families. Has added more than a trillion dollars to national debt. Voting Rules: Support rules that proponents argue prevent possible fraud, even if they limit access? Rohrabacher – Yes. Voted to require photo ID for voting in federal elections.